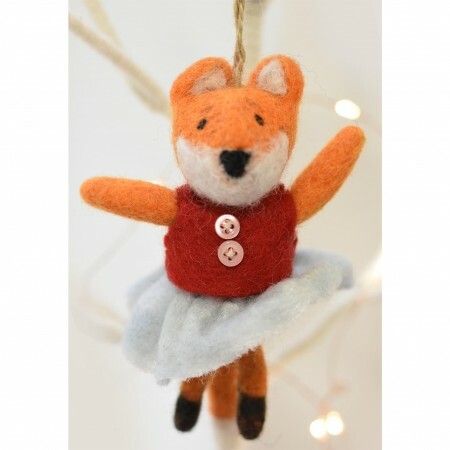 Fair Trade felt Mrs Fox decoration handcrafted from 100% wool felt by skilled artisans in Nepal. This Mrs Fox decoration has been skilfully crafted in orange and white felt with black felt used for hands, feet and details on her face. She is wearing a lovely little grey skirt and red top with buttons and will make an adorable addition to your Christmas tree of window display.